The Stein siblings—Gertrude, Leo, Michael, and his wife Sarah—were important patrons of modern art in Paris during the first years of the 20th century. This American family collected hundreds of artworks by a group of relatively unknown artists with whom they became close friends. The Steins opened their apartments on Saturday evenings to anyone who arrived with a reference in hand. At these salons, scores of international artists, collectors, and dealers passed through their doors in order to see and discuss the latest artistic developments, long before they were on view in museums. Ultimately, the Steins’ enthusiasm for avant-garde art—particularly the work of Henri Matisse and Pablo Picasso—had an indelible impact on its development for decades to come. The Steins Collect: Matisse, Picasso, and the Parisian Avant-Garde—at The Metropolitan Museum of Art from February 28 through June 3, 2012—unites some 200 works of art to demonstrate the significant impact the Steins’ patronage had on the artists of their day and the way in which the family disseminated a new standard of taste for modern art. The exhibition traces the evolution of the Steins’ collections and examines the close relationships that formed between individual members of the family and their artist friends. While focusing on paintings by Matisse and Picasso, the exhibition will also include paintings, sculpture, and works on paper by Pierre Bonnard, Maurice Denis, Juan Gris, Marie Laurencin, Jacques Lipchitz, Henri Manguin, André Masson, Elie Nadelman, Francis Picabia, and others. The exhibition is made possible by The Philip and Janice Levin Foundation and the Janice H. Levin Fund. Additional support provided by The Daniel and Estrellita Brodsky Foundation. The exhibition was organized by The Metropolitan Museum of Art, New York, the San Francisco Museum of Modern Art, and the Réunion des Musées Nationaux-Grand Palais, Paris. Leo Stein was a collector by nature. Once he settled in Paris in early 1903, he was amazed to discover that he could afford to purchase contemporary oil paintings. He was most attracted to colorful figurative work, traditional subject matter rendered in innovative ways. Leo’s youngest sister Gertrude joined him in the fall of 1903. Their eldest brother, Michael, together with his family, followed from California in January 1904. Leo was the driving force of the collection during these early years. After realizing that his plan to build a collection of paintings by Paul Cézanne, Edgar Degas, Édouard Manet, and Auguste Renoir was beyond his means, Leo changed strategies and instead began to purchase inexpensive paintings by relatively unknown younger artists. 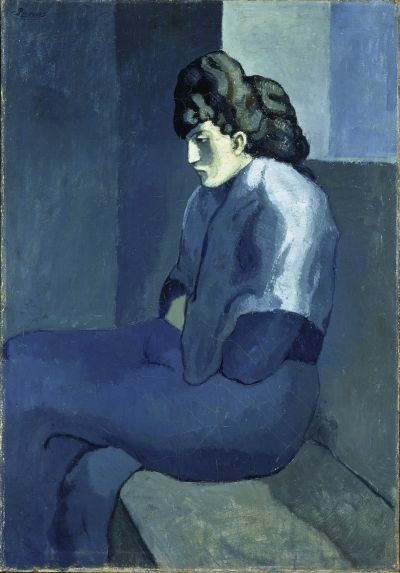 In 1905 he bought his first pictures by Picasso and Matisse. Following Leo’s lead, Sarah and Michael began purchasing fairly inexpensive pictures by Cézanne, Gauguin, Manguin, Picasso, and Vallotton. They became close friends with Matisse after Leo introduced them in late 1905. Within three years, the walls of their apartment were filled with colorful canvases. With the exception of Matisse’s own studio, there was no better place to see his recent work. The Steins had close bonds with the emerging artists whose works they collected. They went horseback riding and swimming with Henri Matisse and arranged for their friends from San Francisco, Harriet Lane Levy and Alice Toklas, to take French lessons from Picasso’s girlfriend, Fernande Olivier. It was not uncommon for Leo to have lunch with Matisse and dinner with Picasso in a single day. Both artists sent the Steins sketches and reports of their work in progress. The Steins were natural networkers. They famously introduced Matisse to Picasso and made the art of the Parisian avant-garde available to hundreds of people who might not have had a chance to see it otherwise. The first documented visitors to 27, rue de Fleurus were Leo’s artist friends, who often found him pacing the studio or reclining on a daybed while extolling the individual merits of the pictures. As word of the Steins’ collections spread, they were overwhelmed with requests for visits. A decision was made to consolidate the visits and open both Leo and Gertrude’s atelier and Sarah and Michael’s apartment on Saturday evenings to anyone who arrived with a reference. Artists, writers, musicians, and collectors convened to discuss the latest artistic developments. Visitors from the United States, Europe, and Russia spread news of what they had seen. By opening their homes and making their collections accessible, the Steins did more to support avant-garde painting than any other collectors or institutions during the first decade of the 20th century. By late 1910, the modest two-bedroom apartment at 27, rue de Fleurus that Leo had initially rented for himself was home to three occupants: Leo, Gertrude, and her companion, Alice Toklas. Leo’s increasing deafness led him to distance himself from the Saturday evening salons, and by 1913 he recognized that it was time for him to leave rue de Fleurus altogether. Leo and Gertrude divided their collection. Gertrude kept the Picasso paintings, and Leo took 16 Renoirs. “Rather an amusing baggage for a leader in the great modern fight,” he conceded. Leo was relieved to live a quieter, simpler life with Nina Auzias, whom he married in 1921. He spent the rest of his years in Italy, France, and the United States, painting, writing and lecturing about aesthetics. World War I had a particularly devastating impact on Sarah and Michael’s collection. At Matisse’s request, they lent 19 of their largest and most important paintings by him to a July 1914 gallery exhibition in Berlin. When Germany declared war on France in early August, the paintings were trapped. After years of legal negotiations, Michael and Sarah opted to sell them to the Norwegian shipowner Tryggve Sagen and the Danish collector Christian Tetzen-Lund. Matisse regretted the turn of events and painted portraits of Sarah and Michael (1916; San Francisco Museum of Modern Art), the only portrait pendants he is known to have made. In the mid-1920s, the couple commissioned a villa from Le Corbusier. “After having been in the vanguard of the modern movement in painting in the early years of the century, we are now doing the same for modern architecture,” Michael said. Of all the Steins, only Gertrude managed to keep the bulk of her collection together. She could no longer afford to buy paintings by the artists she had once supported. Most new acquisitions were gifts or acquired through trade, such as the last Picasso painting she added to her collection, Still Life (1922; The Art Institute of Chicago). Younger artists such as Louis Marcoussis, André Masson, Francis Rose, and Pavel Tchelitchew gravitated to Gertrude, flattered by her interest in them. She and Alice retreated to their country home at Bilignin during World War II, ignoring repeated warnings from the American Embassy to leave. It was probably Bernard Fäy, a close friend, translator of many of Gertrude’s writings, and influential Vichy collaborator, who protected her. The Steins Collect; Matisse, Picasso, and the Parisian Avant-Garde revisits this decisive moment. It is the story of one American family residing in Paris who shaped the development of modern art for decades to come. 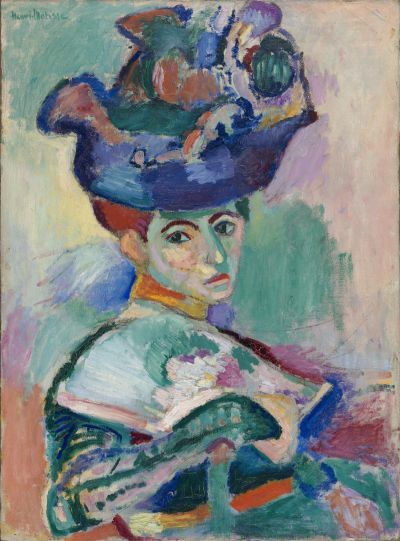 Highlights from the exhibition include Matisse’s Woman with a Hat (San Francisco Museum of Modern Art), purchased by Leo Stein from the famous “fauve” Salon d’Automne of 1905, and Picasso’s painting of Gertrude Stein (The Metropolitan Museum of Art), which will be presented alongside additional portraits of the Stein family by Matisse, Picasso, and Vallotton. Life-size photographic enlargements of the Steins’ Parisian apartments will be displayed throughout the exhibition to show how the art was installed in the Steins’ residences. 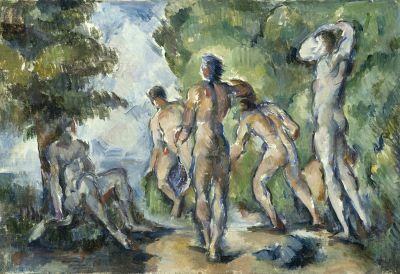 Additional themes covered in the exhibition include Sarah and Michael Stein’s role in the formation of the Académie Matisse, the influential art school that operated from 1908 to 1911; their commission of a villa from Le Corbusier; and Gertrude’s later friendships and collaborations with Juan Gris, Elie Lascaux, Francis Rose, and Virgil Thomson. The Steins Collect: Matisse, Picasso, and the Parisian Avant-Garde is organized by Janet Bishop, curator of painting and sculpture at SFMOMA; Cécile Debray, curator of historical collections at the Musée National d’Art Moderne, Centre Pompidou, Paris; and Rebecca Rabinow, Curator in the Metropolitan Museum’s Department of Modern and Contemporary Art.